Founded in 1999, Uncommongoods is the place to go for unique gifts for when you want to find something a little bit different. Based in Brooklyn, New York, Uncommongoods is a privately owned retailer that features designer decor, handcrafted gifts, unique jewellery and table top items. Uncoommongoods like to make sure that their items are environmentally friendly. Uncommongoods have a wide selection of items that make ideal gifts for many occasions. I have picked out some favourite bits that I feel make great gifts for the man in your life for birthdays and fathers day as well some personalised gifts too. 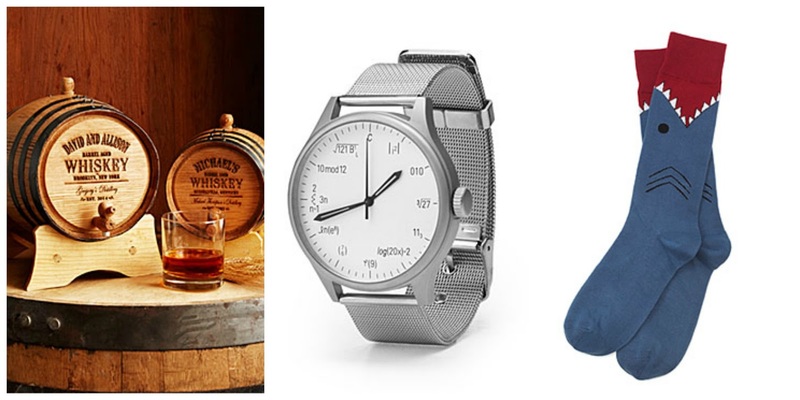 Below are a few items I found that would make great gifts for fathers day this year. The personalised whisky barrel is a lovely gift idea for Dad's that love the tipple. The equation geek watch is smart and stylish and features the equivalent notation of each number. The shark socks make a fun addition to the man in your life's wardrobe. 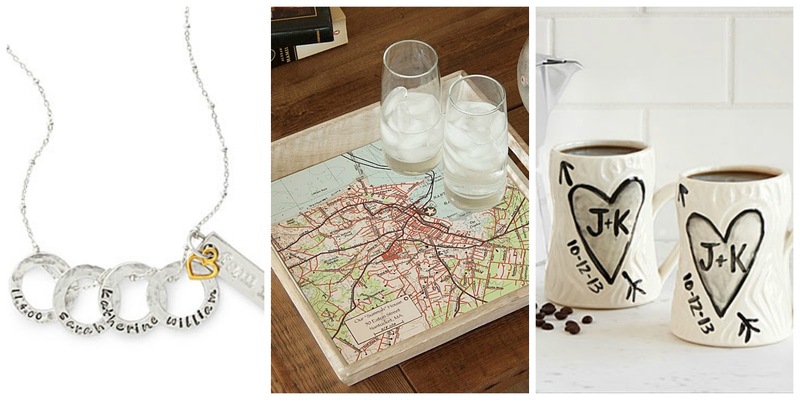 You can click here for more gift ideas for fathers day. When it comes to birthday gift ideas for men I picked out items that I could see the men in my life loving. I really love the look of the Bioluminescent Aquarium,tiny bioluminescent plankton illuminate this spherical environment when you gently swirl it. 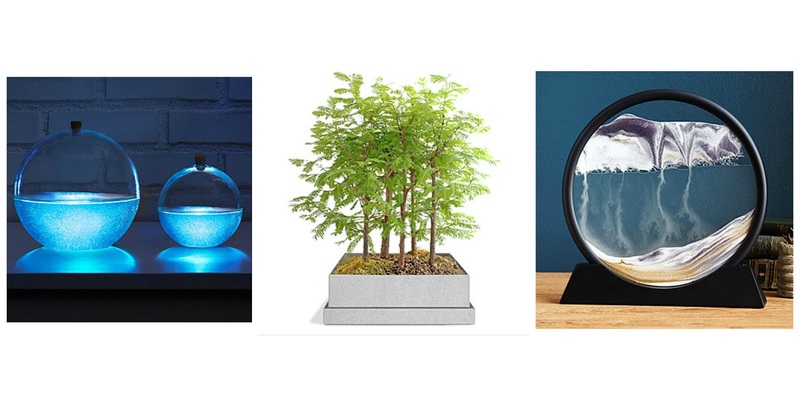 We love to have plants in our home and really like the idea of having a Bonsai tree, this Bonsai forest set is great as it comes with the all the bits to grow your own. 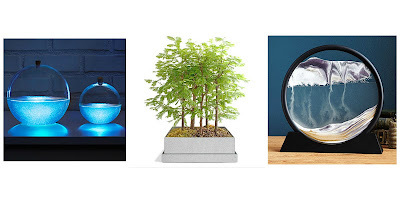 Last of all my favourite is the deep sea sand desk sculpture which is ideal for bringing a calming presence to the home/office. Why not check out the website to find more birthday gifts for men. In regards to personalised items I picked out some bits for women as well as men as their really are some lovely products. The personalised definition of family necklace is a unique charm necklace which makes an ideal gift for mum's like myself. The custom map serving tray is a lovely way to feature the special spot of your choice whether its the first spot you met your soulmate or your favourite holiday destination. The personalised porcelain mug set is carved with your initials and anniversary which will make a great wedding or anniversary gift. You can find more personalised gifts on this page. Uncommongoods have been awarded for outstanding customer service every year since 2007. In 2015 they achieved the BizRate platinum circle of excellence award which is their highest achievement yet. What absolutely lovely gifts. I love giving something unique and this seems the perfect place to look!